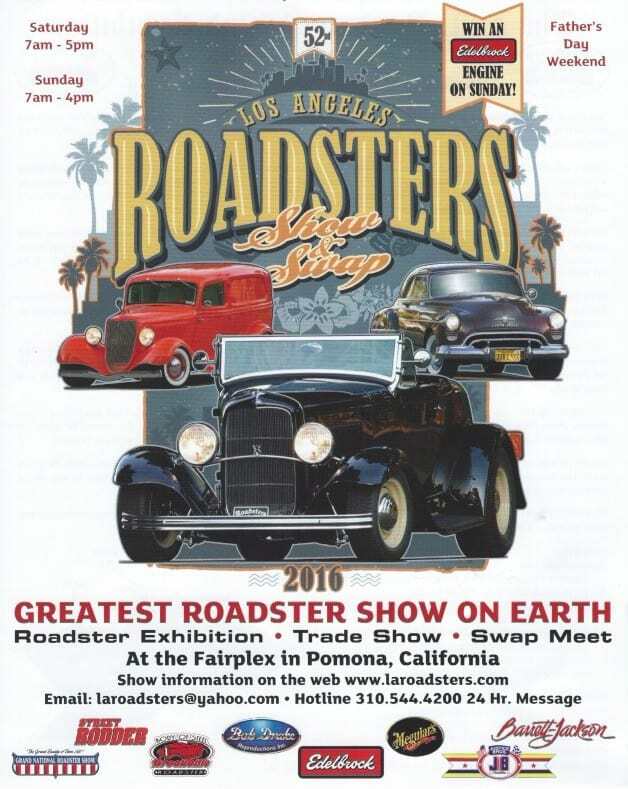 Well, it is that time of year again and the fathers day Roadster show is upon us and this year its hotter than hell, so get in early if you can. 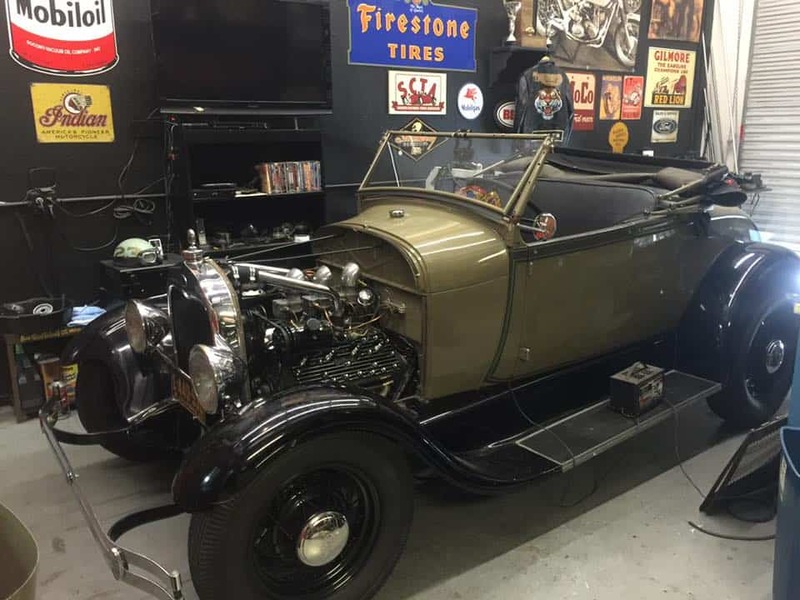 The L. A. Roadsters Car Club was formed in 1957 and is still going strong. The Club is well known for their beautiful 1936 and older roadsters and their Club uniform of red shirts and white pants. Just a few little shots right now. These are some great shots that Brian Brennan of Street Rodder took today. Below is the Grand National show winner and one of my favorite Hot rods. All types for everyone one, from old school to high tech. The 2016 Show is scheduled for Saturday, June 18th and Sunday, June 19th. In 2015, we had another successful show and want to thank all roadsters, specialty cars, swappers, vendors and spectators for their loyalty and support of our show each year. Each year, the L.A. Roadsters put on one of the largest roadster shows, swap meets, and commercial vendor shows in Southern California. I shall be going on Sunday for a look around, I have a long way to go with my Model A but love the thing to bits. This entry was posted in Blog and tagged 1927, 1928, 1929, 1930, 1931, 1932, 1933, 1934, 1935, 1936, 1940, 21 studd, 21A, 24 stud, 3 window, 5 window, 59AB, 8BA, 8CM, Banjo rear, Beam axle, Bell, Champion, Columbia, Coupe'sedan, Deuce, Duvall, Edelbrock, Edmunds, F1, flathead, Halibrand, Hallock, Harmon & collins, hop up, hot rod, Iskendarian, lincoln Zephyr, Mallory, McCullough, mcculough, model A, model B, model T, Mooneyes, quick change, Reds, roadster, Rumble seat, SCOT, scta, Sharp, sidevalve, steelies, stromberg, Torque tube, tourer, Track, V8, vhra, Whitewalls, wishbones.